Diary of an Incompetent Soprano: Confessions of a lazy soprano. So, I have not written about another singer for a while but I have literally just watched Lucy Crowe sing the Mozart "Exsultate Jubilate" at the Proms and felt compelled to put fingers to screen. Not only did she look stunning with long flowing blonde hair and amazing silver frock she sang like an absolute dream. Crazy fast coloratura and simply sublime tone. However, watching Lucy got me to thinking about why I never really had a good go at the classical thing and realised it is because I am inherently lazy. No, hang on, that's not totally true. I was lazy - at college. Don't get me wrong I practiced a lot but I was always more concerned with the sound I was making rather than what I was singing about. I used to sing in a variety of languages in my college days but had no idea what I was singing about in any of them. I relied on the fact that I could make it sound great whatever the context. Unless it was in English, I was great in English which is why, in a way, I was quite lucky that the four operas I was involved in at college were either in English or in English translation. We were all up in arms at the time about how unfair it was we didn't get to do "Cosi fan tutte" in Italian. With hindsight it worked in my favour. I did have to do a few opera scenes in other languages but the most successful ones for me were the Britten scenes I got to do. In English. Although, one of my favourite scenes I got to do was in Italian. But I think I liked this one because I got to wear an outfit that made me look like a Bond villain and I had to throw a glass of water in the face of a, very nice, countertenor. I had a colleague at college who was the polar opposite to me. I would be totally annoyed by her singing when she sang in English because she knew what she was singing about and would overact like crazy yet when she sang in other languages she was, and still is, glorious. Anyway, I digress, so I wonder if I could do it all again, knowing what I know now, would I do things differently? Probably not. 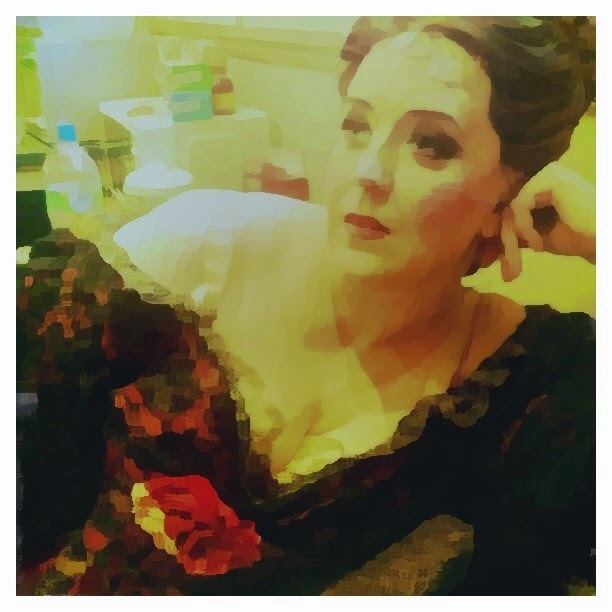 There is no doubt I had a certain ability when it came to opera but I can't be sure if my heart was ever in it or if it, in fact, broke my heart a bit and so all I could do was move away from it and do something else. I think I have said before that I do think I "pretended" to be an opera singer. My first singing teacher was the one who set me on the operatic path initially with a flippant comment about how I could be an opera singer and, don't get me wrong, I actually wouldn't change anything about my "journey" so far. It has been strange and infinitely interesting, just the way I like things. As I said in my last post, I did recently have to dust of my Mozart arias book for an audition, one I didn't get I hasten to add, and although it went very well it has not reignited my desire to sing classically again. However, it is so handy to be able to whip out an aria should I need to. Plus I got sing the second Queen of the Night aria (a tone down, but don't tell anyone) which I had always wanted to do (of course I would rather have done it in the right key but you can't have everything). Anyway that's enough rambling for one evening, I think I will leave the classical singing to the likes of the divine Lucy Crowe and stick to what I do best - something I am still trying to work out!